Matthew 5:16 ~ "Shining God’s light through music and the arts." 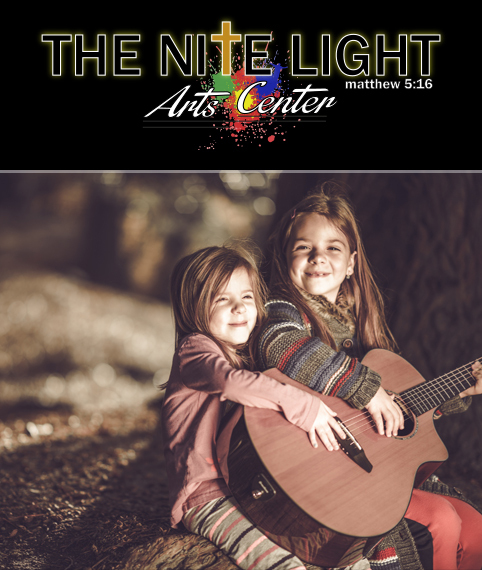 The Nite Light Arts Center is a faith-based arts center offering a variety of classes, live music events and ministry related events targeted to the youth in Berwyn and surrounding communities. The arts center offers faith-based classes in the various art forms of dance, fine arts, and drama to children in kindergarten through high school. On Friday and Saturday nights, the center hosts live music, art related events, as well as ministry related events that is run by ministry team volunteers, mostly who are teens & young adults. The arts center has a coffee bar that is open during events and serves a variety of flavored lattes, cappuccinos, teas, soft drinks, and snacks. Faith based classes are offered in the art forms of dance, fine arts (painting, drawing and sculpting), drama and group music lessons. The center will also be home to a band starters program where young musicians will be paired up with other young musicians to birth forth Christian bands. The weekend events will help encourage youth to use their artistic abilities and empower them to be all that God has created them to be with meaning and purpose. Our website is a work in progress and we will be adding events, classes and much more as we expand and grow.